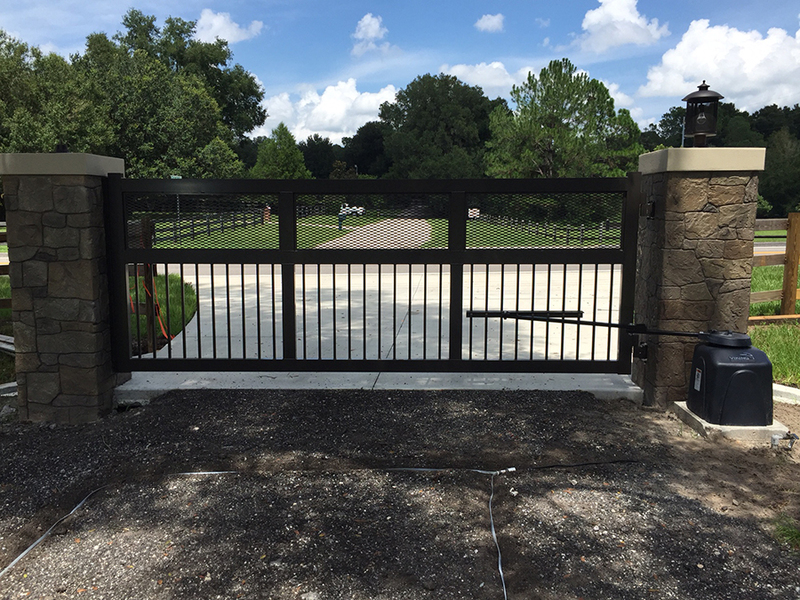 Bring security and peace of mind to your home and family with a State-of-the-Art Automatic Entry Gate and Access Control System. 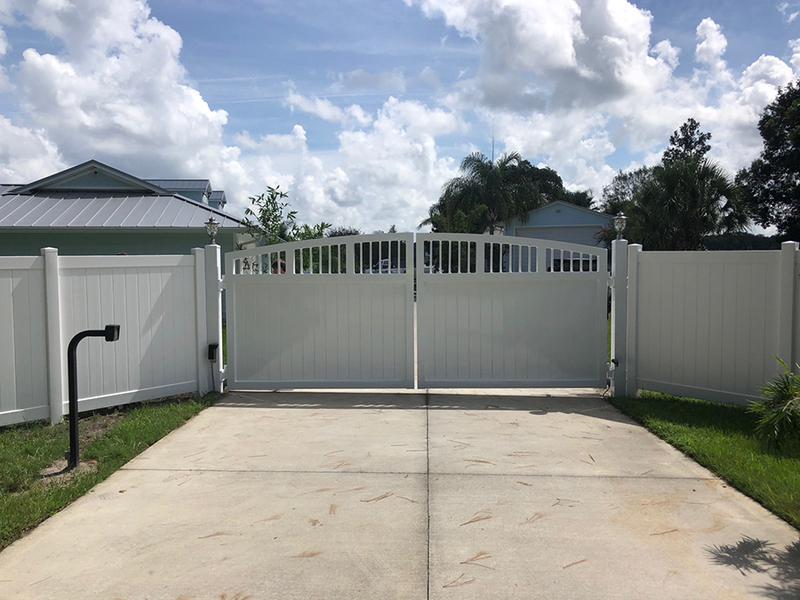 An Entry Gate enables you to prevent unwanted guests from accessing your property without permission so you can enjoy spending time inside or outside your home without fear of being approached by strangers. 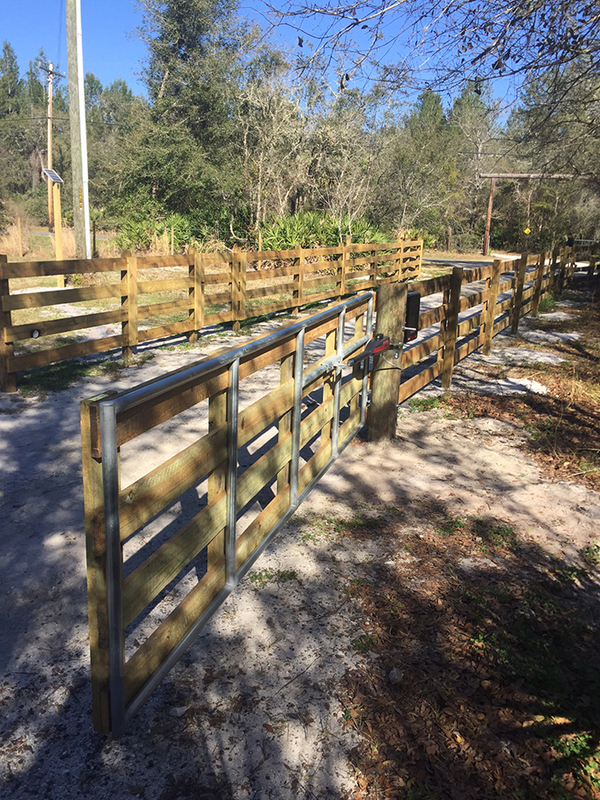 It also allows kids and pets to play safely and securely in the yard. 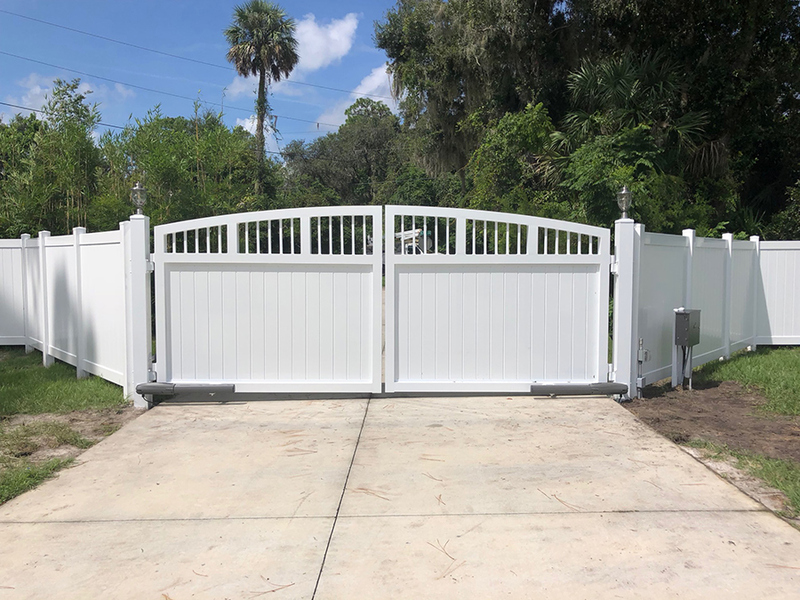 Have your Wood, Vinyl, or Aluminum Driveway Entry Gate installed today in DeLand, Palm Coast, DeBary, Orange City, Deltona, or other city throughout Volusia and Flagler Counties. 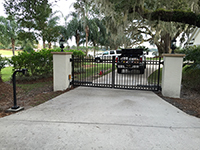 In addition to enhancing security, an entry gate and access control system can increase the value of your property. 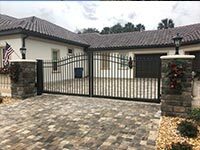 Plus, you may even qualify for a discount on your home owner’s insurance policy. 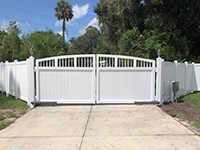 Entry gates are available in a variety of styles and designs to match your existing fencing. 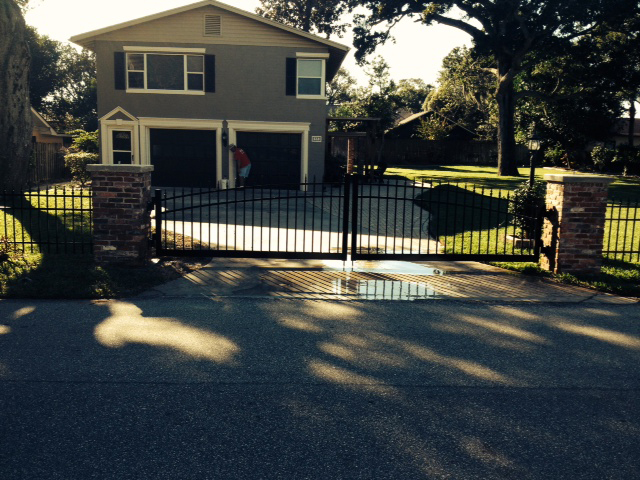 They are customized to fit your property and professionally installed. 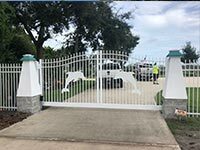 Our large selection of handsome residential entry gates are designed to match the style of any fence. 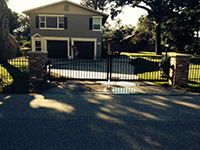 Entry gates are made from structural aluminum and welded, secured and customized for your entry or driveway. 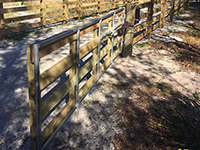 They are built to last and are virtually maintenance free. 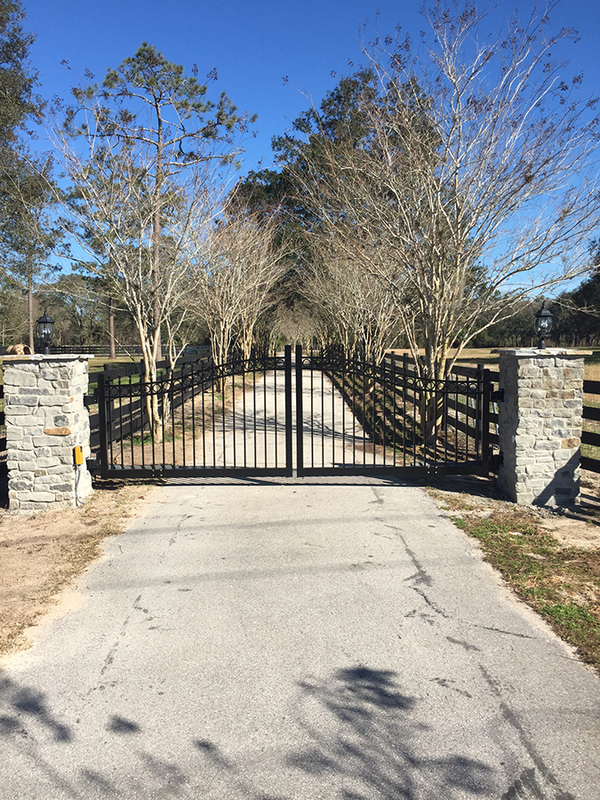 Gates swing open from 8’ to 20’ wide and double-swing gates open up to 30’ wide. Precisely control the length of time the gate remains open before closing with programmable exit loops. 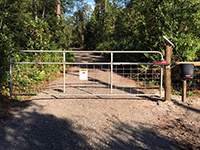 Perfect for homes, estates, residential communities and any property that want to restrict access. 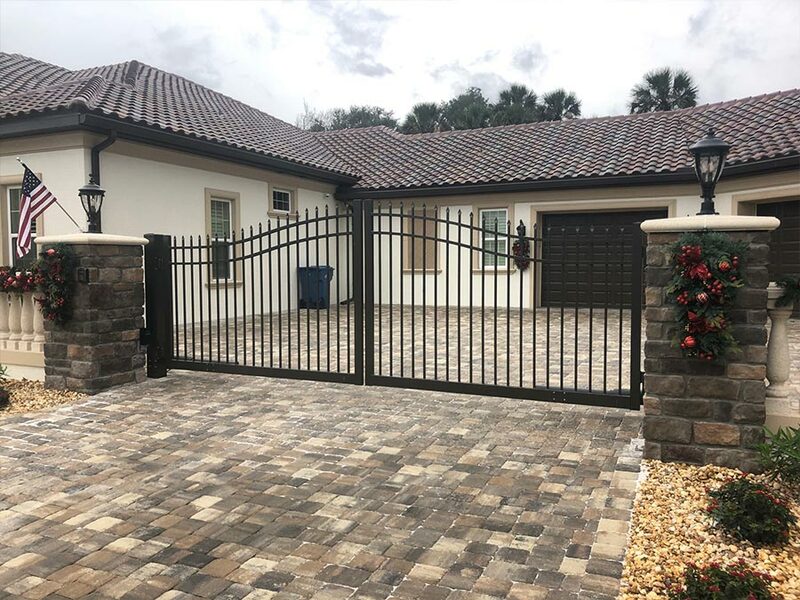 With a state-of-the-art gate access control system you and your family can check the video monitor to see who is at the entry gate before letting them in. Visitors stay at the edge of your driveway and away from your front door or garage until you grant them access. 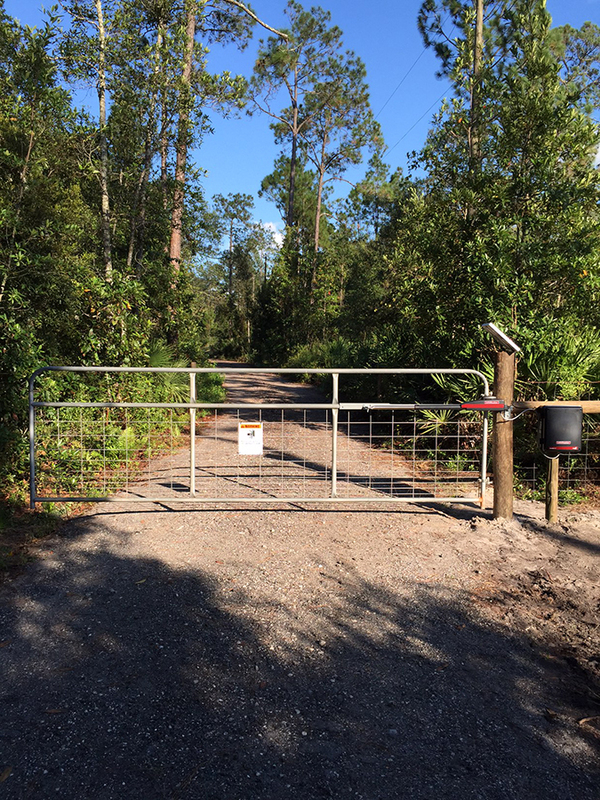 Communicate with visitors via intercom, phone or smart phone even while you’re away from home. 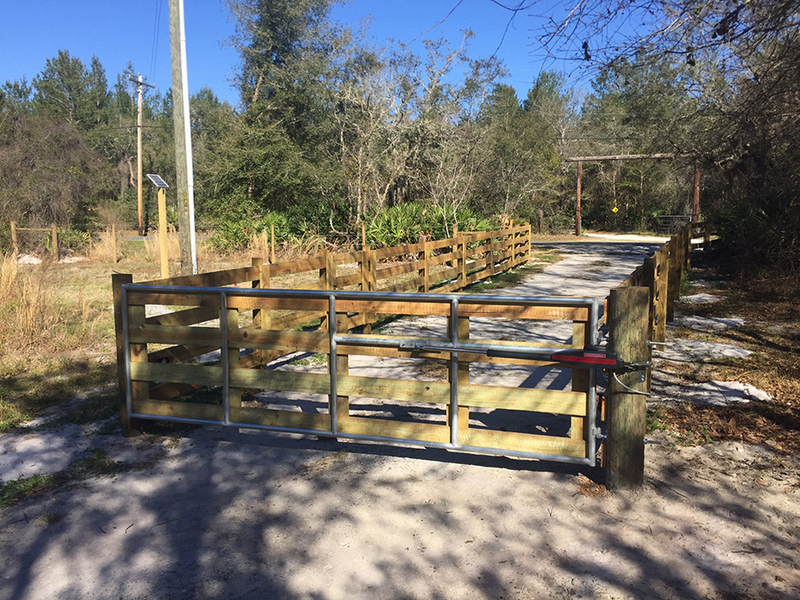 You can also conveniently open the gate remotely from your home, vehicle or smart phone. 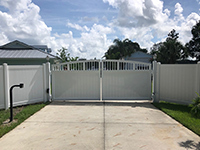 Easily assign gate access codes to family members, maids, lawn maintenance workers and other trusted visitors and revoke access when no longer needed or wanted. Battery back-up and solar power options enable your gate and access control system to operate during a power outage. 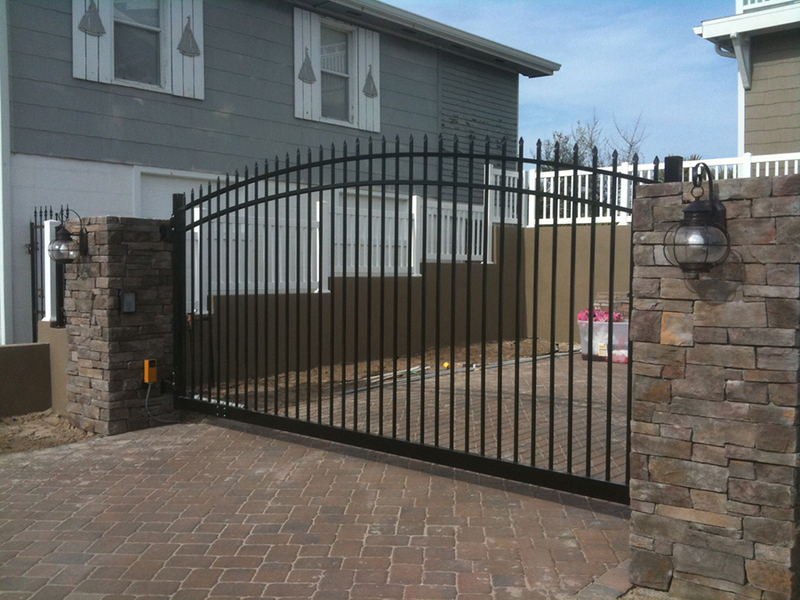 Enter your property with the push of a button with one of our many entry gate operators. 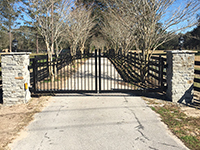 Better gate operating systems are certified to UL 325 and UL 391 standards. Get the security and peace of mind you deserve with an Entry Gate and Access Control System from Better Fence Company. 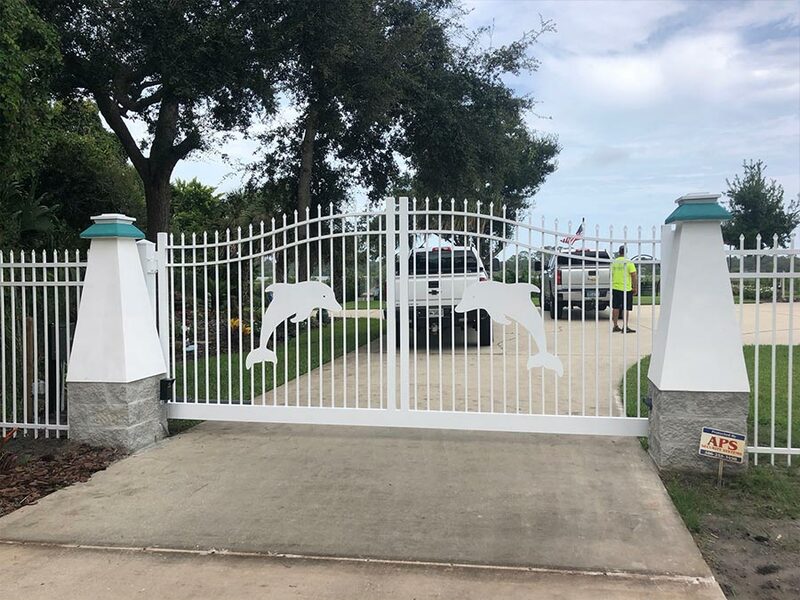 Contact us for a free consultation today!